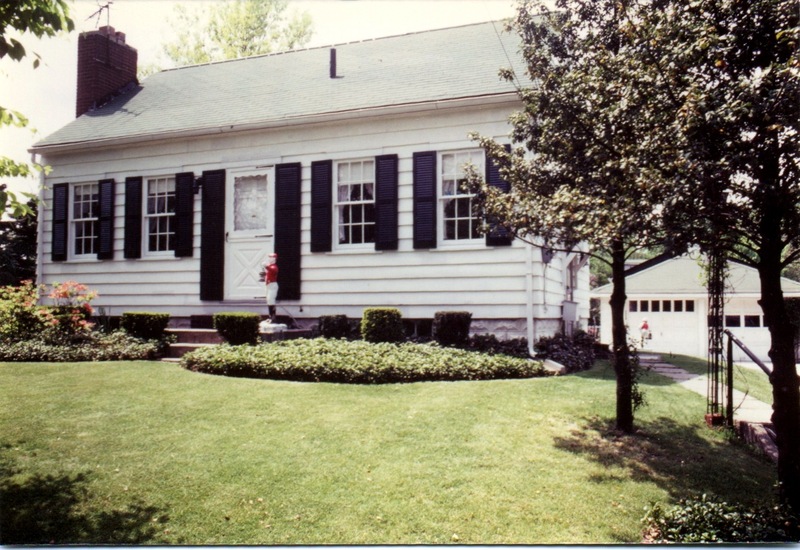 As you might imagine, it is very difficult to identify the simple Cape Cod models from Sears since there are thousands of extant houses in that style. Colonial Revival Cape Cod houses became popular during the Great Depression and were sold in large numbers until the early 1950's. 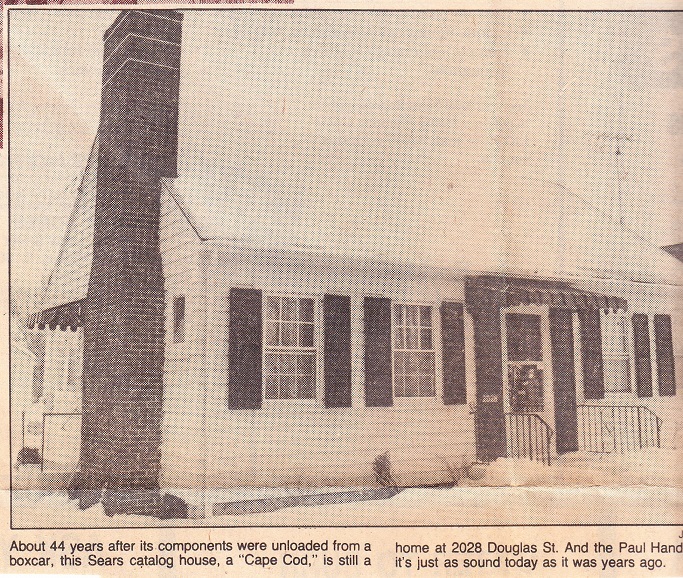 The first Cape Cod that Sears sold was the Stanford (in 1931). The Stanford was aptly renamed the Cape Cod in subsequent years. I have identified only three Stanford/Cape Cod models to date. It makes it much easier when previous residents of the houses let me know of their existence. 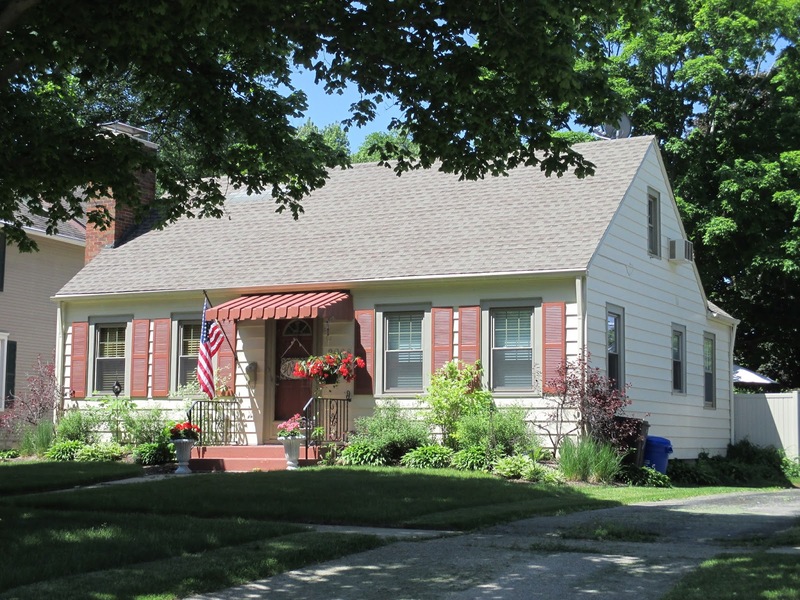 Caroline Shoberg currently lives in Arlington Heights and attended a presentation on Sears homes I gave in May. 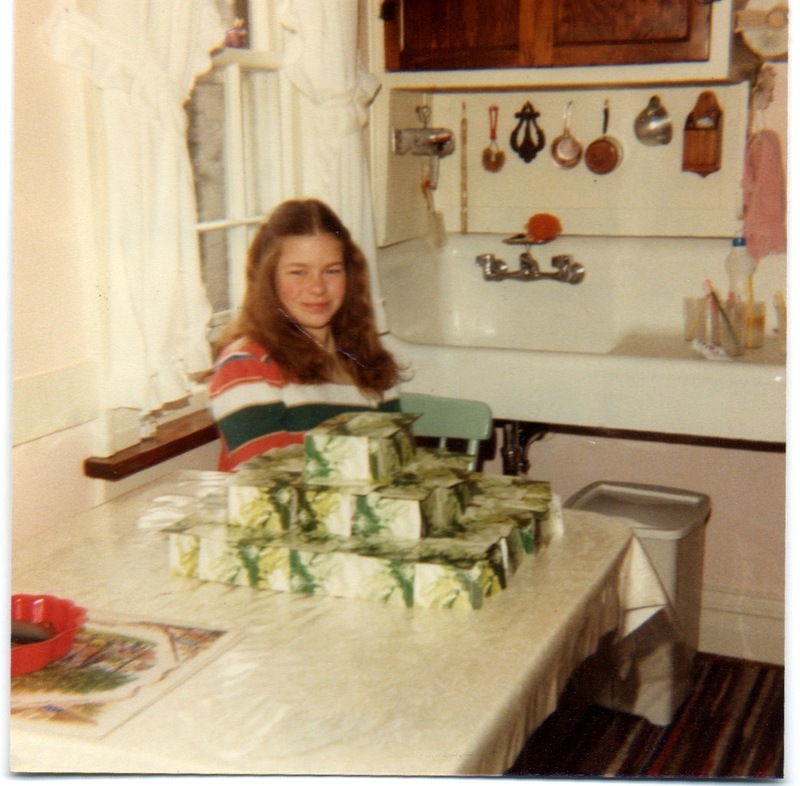 She told me that she was raised in a Sears Stanford in Painesville, Ohio, outside Cleveland. 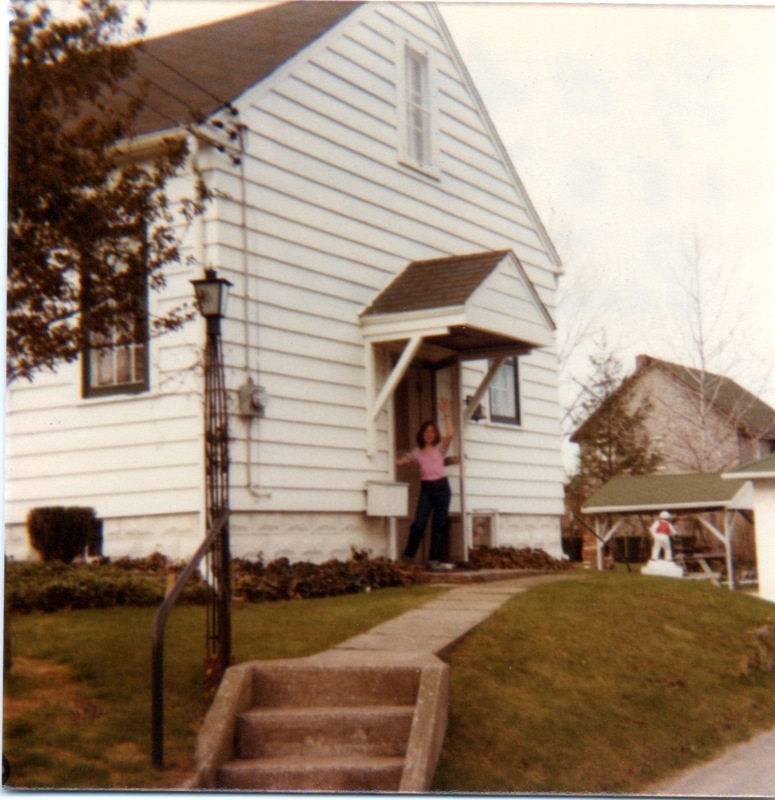 185 Newell St., Painesville, Ohio, from the 1970's. 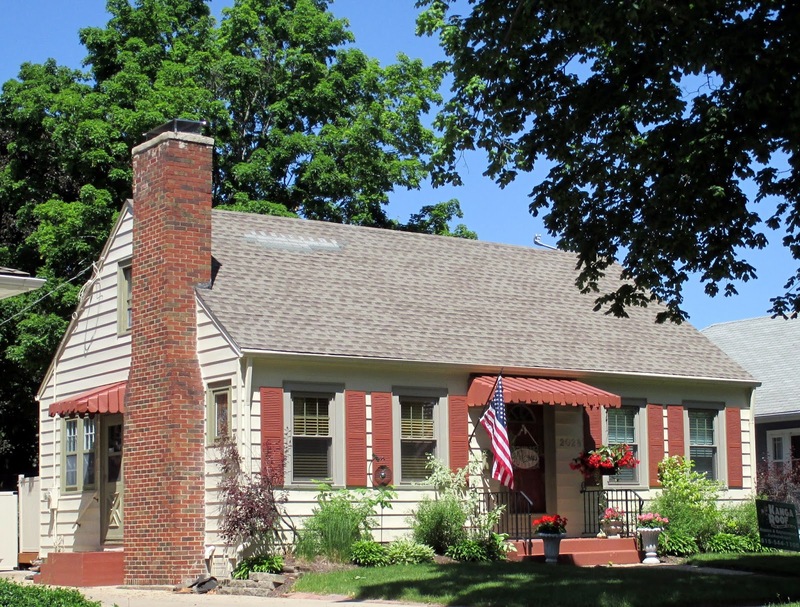 This house is the real deal--every little detail matches the Sears Stanford model. Photo courtesy of Caroline Shoberg. The Sears Stanford/Cape Cod model. Photo courtesy of Caroline Shoberg. The shutter-less house today, from Google Streetview. 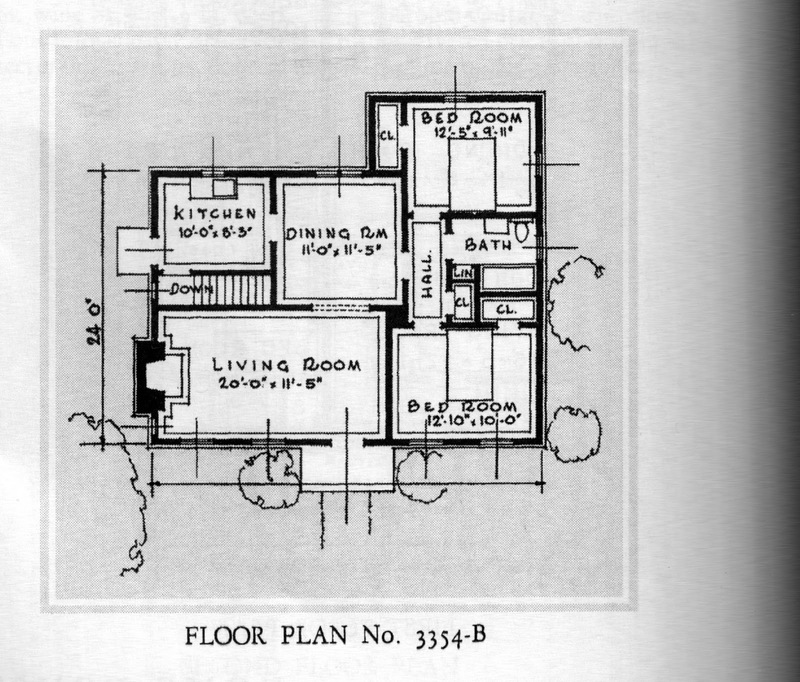 The Stanford/Cape Cod came in two floor plans, and this house is the smaller of the two because it has a door on the right side of the house. Photo courtesy of Caroline Shoberg. Caroline's father, Claire Brassington, built the house in 1931, the first year the model was offered. Claire was a carpenter by trade. Caroline's grandfather dug the foundation with his horse and a scoop. 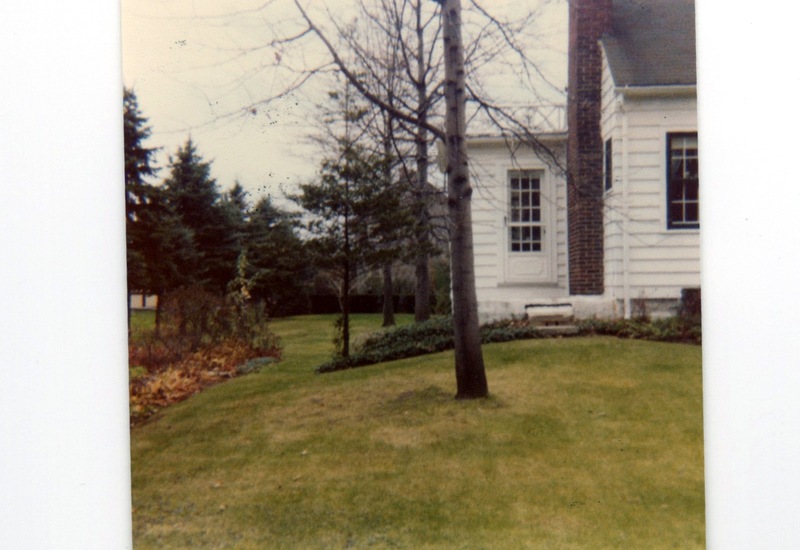 The house is still owned by the Brassington family. 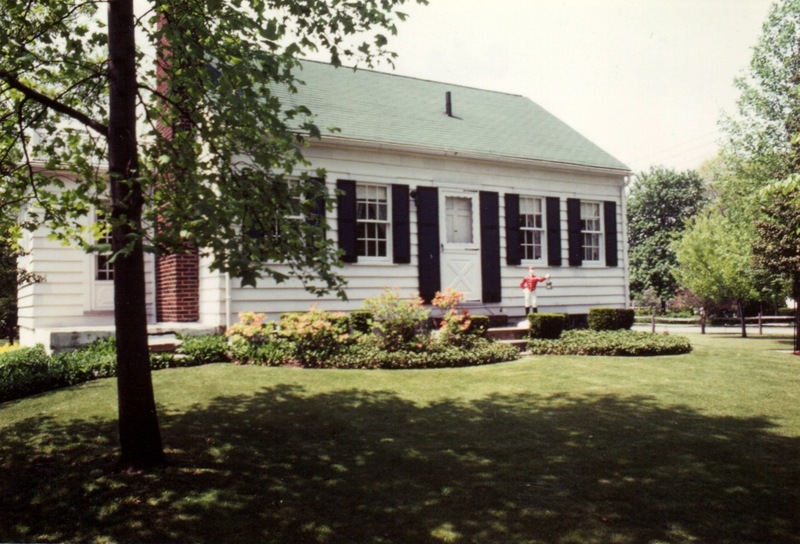 The sun porch was added in 1936. Photo courtesy of Caroline Shoberg. 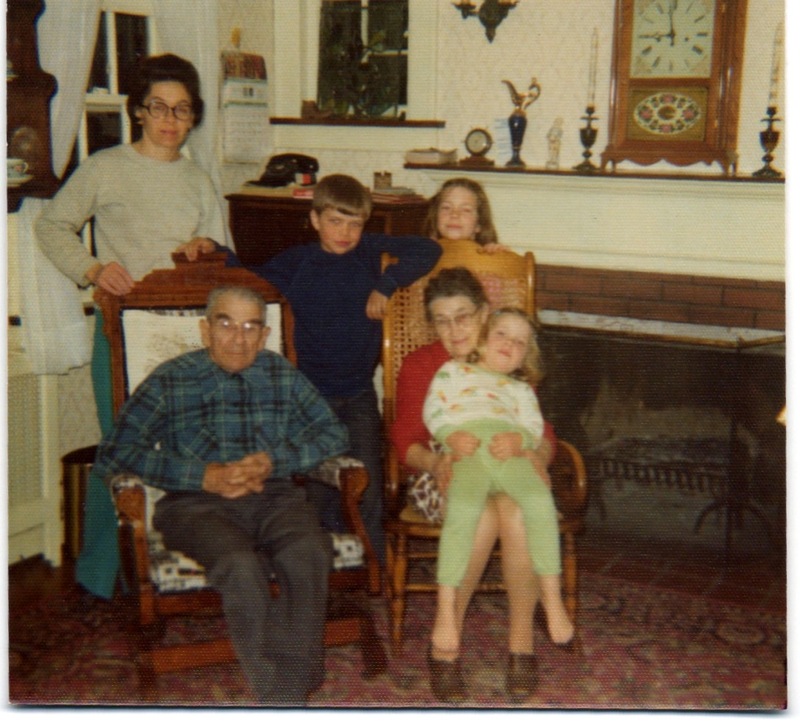 Caroline (upper left) and her family in front of the fireplace. Claire and his wife, Belle, are seated. That is a Sears mantel. Claire made the clock as well as the house. Photo courtesy of Caroline Shoberg. There's the original sink! Photo courtesy of Caroline Shoberg. There is another Sears Stanford/Cape Cod in Rockford, built about 1937. 2028 Douglas, Rockford. 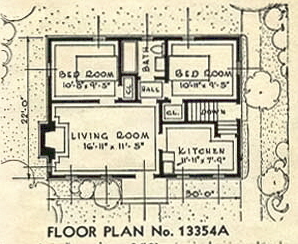 This is the larger floor plan as evidenced by the door next to the fireplace. Photo courtesy of Steve Solonickne. Photo courtesy of Steve Solonickne. Charles and Alice Eklund were the original owners. 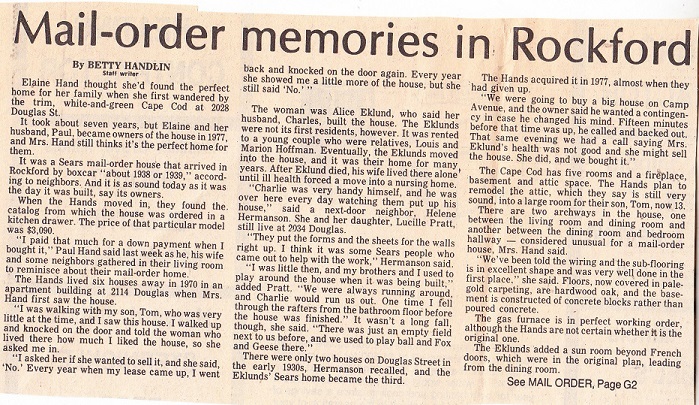 The Rockford Public Library has posted an old article about the Sears Cape Cod, linked below. Photo from Rockford Register Star, 1982.